The horror anthology is running at full steam, right now, with a multitude being available to the discerning viewer. The quality quite often varies, from the outstanding to the downright boring, but there’s no denying that they are incredibly popular. You have some old school contenders getting new releases, such as Creepshow 2 and Body Bags, and the new; V/H/S, and sequel, and The ABC’s of Death, which at the time of writing this has had a quite different style of publicity. That, however, is another story. With Horror Stories though, it is the turn of South Korea to enter the fray, and there’s one thing you can be sure of with the Korean’s, and that is that they can throw out some incredibly good cinema. So, I was definitely intrigued to see what this anthology would have in store for me. The initial outlook was good, with the directors’ of such films as Memento Mori and Bloody Reunion involved. And, the fact that Artsploitation is releasing this DVD only added to the expectation level. As with most anthologies, there is a wraparound story and this is no different. With Horror Stories though, the wraparound is directly related to the other stories. It involves a psychopath who asks his current victim to tell him the scariest story she knows, and for once there are some scares to be had. The first tale is entitled Don’t Answer the Door, and focuses on two young children who are home alone, facing a potential intruder. Personally, I thought this was the most powerful entry on display, as it certainly doesn’t hold back. It has atmosphere aplenty and sets the rest of the film up perfectly. Endless Flight follows, with a sweet little tale about a serial killer who breaks free on plane trip. There’s blood aplenty in this episode, and whilst it could have been incredibly predictable actually ends up to be a really well done short film. The third film is entitled Secret Recipe and focuses on some step-sibling rivalry, in the shape of cosmetic surgery. So, you can expect the grue level to be right up there, and you would be correct. Closing out the tales is Ambulance on the Death Zone, and it’s here that the anthology dives into the inevitable undead-zone, with a zombie tale. I suppose that it was to be expected, but this is actually a nicely crafted tale which steers clear of the same old same old, which seems to be so prevalent in this subgenre. What Horror Stories has delivered is five differing tales that all have something to offer. Some are better than others, but all are worth your time. This in turn makes Horror Stories one of the better anthologies out there at the moment. Even when the Koreans go into predictable territory they manage to put a new spin on things, and that is very much the case here. If you’ve been disappointed with the new breed of anthology, thus far, I definitely suggest you give this one a chance. I thought it was incredibly well done, managing as it does to blend scares and bloodshed in equal measure. On top of that, Artsploitation have once again given their release the treatment. Aside from the reversible sleeve, there’s also a tasty little 12 page booklet contained within, as well as some cast interviews. 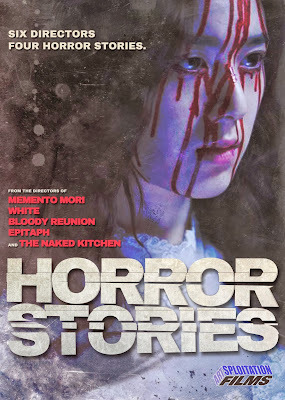 Following on from their releases of the depraved Hidden in the Woods and the delightfully gore-tastic Wither, Horror Stories is another fine release that is more than worth your time. 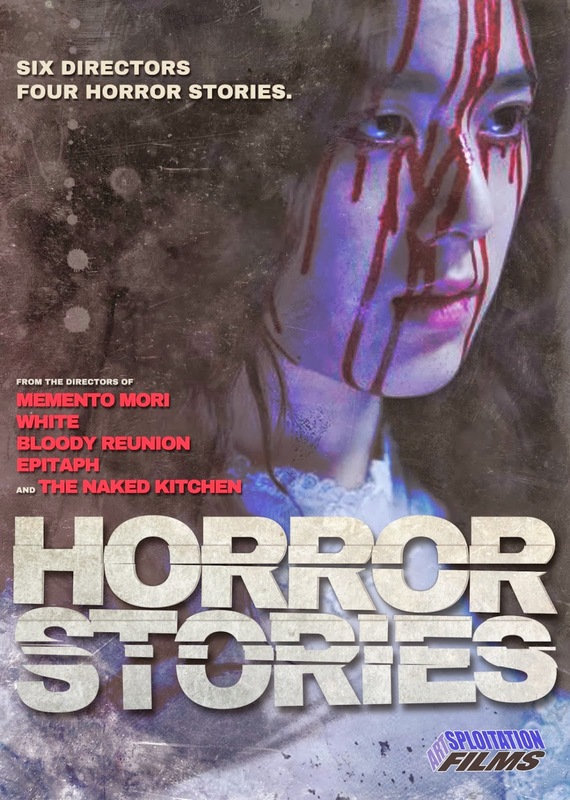 Horror Stories is available now on DVD from Artsploitation.